North Carolina has an intricate roadway system that includes many high profile highways and interstate systems like I-95, I-40, I-85 and more. Due to this, North Carolina drivers are all too familiar with the fact that they share the road with thousands of commercial vehicles and large trucks. Unfortunately, due to vast roadways, truck accidents in North Carolina aren’t uncommon. According to the Federal Motor Carrier Safety Administration, in 2014, more than 29,989 motor vehicle crashes on US highways were fatal. Roughly 3,649 crashes (12.2 percent), involved at least 1 large truck or bus. It is important to understand that not all auto accidents are the same. Car crashes certainly can be deadly, but a car accident with a truck is almost always disastrous. Even if you were to have a non-fatal encounter with a big truck in Raleigh, the case would be different than that of a common car accident. For this reason, the truck accident injury lawyers of Kirk, Kirk, Howell, Cutler & Thomas have created a resource to explain why trucking accidents are handled differently and why you should seek counsel from an experienced Raleigh personal injury attorney. What Exactly is a Large Truck? Large trucks are defined as a truck with a gross vehicle weight rating (GVWR) greater than 10,000 pounds. Trucks and buses are largely categorized the same, with a bus being defined as a vehicle that transports at least 9 passengers including the driver. Why Should You Contact a Raleigh Commercial Vehicle Accident Lawyer for Your Case? We always recommend contacting a Raleigh personal injury and car crash attorney for any accident. However, truck drivers and individuals who hold a commercial drivers license are held to a different standard than the general public. 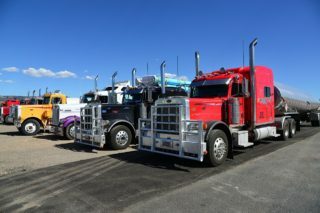 Since truckers often travel across state lines, they are subject to strict Federal regulation and safety requirements. Violating or failing to adhere to these regulations can largely contribute to causing an accident. Also, the trucking industry is full of independent contractors who carry their own insurance. The trucking company and even the owner of the trailer will have their own insurance as well. You will need a good attorney to sort out the details and speak to these insurance carriers on your behalf. You can be sure a strong company will have a team of attorneys working on their behalf, and so should you. If a negligent truck driver and company have caused you or your family pain and suffering from a trucking accident, be sure to give us a call at (919) 615-2473 or complete the online contact form below to speak with an experienced Raleigh attorney. You can be sure that you have a partner that has the experience and dedication required to positively resolve your commercial vehicle accident situation. 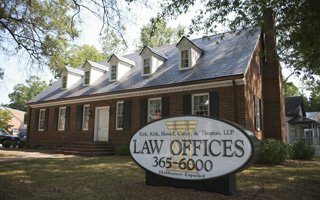 The Raleigh personal injury attorney’s of Kirk, Kirk, Howell, Cutler & Thomas, LLP are ready to serve you!